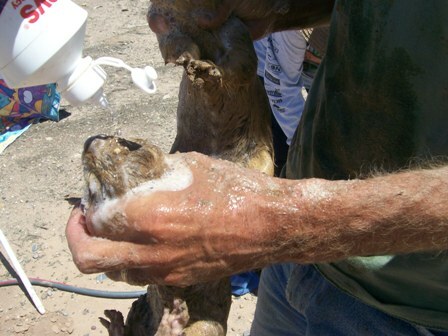 We just completed an successful day of Prairie Dog Capture. Prairie Dog Pals joined forces with us and captured 50+ PDs. we will have a final count this evening. We had many interested onlookers and took names of potential volunteers. A big thank you to the Valencia Bulletin for stopping by and doing in depth interviews with us. Thank you to Prairie Dog Pals for their assistance and to Paul for his care and expertise in PD capture. And to Lee and David for 8 hours in the hot sun. Great job!